The Palinator and U.S. Rep Barney Frank were the main course at the Washington press corps Gridiron Club holiday roast . With a little ghostwriting help from Eric Schnure, Al Gore’s former speechwriter, the future talk show host 2012 Republican Presidential candidate delivered some zingers at her liberal media tormentors. this version. Yeah, I hated it, too. 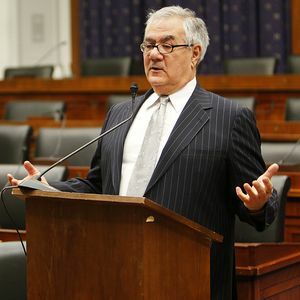 » Barney Frank wants to legalize marijuana. I want him to be vice president.